It is a universally accepted fact that, in todays fast paced world, where nobody has either the time or inclination, to spare time for others; the first impression is the last. And as they say, you do not get a second opportunity to make a first impression. So when you face the world, it is imperative you put your best face forward, and we mean it literally. In Aphrodite Cosmetic Centre, we cater to exclusive target of beautifying people by Plastic Surgery, mostly surgical but sometimes non surgical manoeuvres are also used. Although we entertain queries regarding the whole of body; including bulging abdomen, breast concerns (both male and female), Genital cosmetic surgery, but Facial concerns of beauty has always been a special concern for us, as it is the primary part of the body which meets the eye, when a person goes out to the world. For achieving, the aforementioned subject, of beautifying the face – we have many options; like using Botox and fillers, to minimize the wrinkles and signs of ageing in an old face. Sometimes the above mentioned, purpose can also be achieved by using LASERS, which also helps in removing scars and other marks from face. But nothing compares with the Plastic Surgery/ Cosmetic Surgery interventions like, Face Lift Surgical Manoeuvres for reversing and beautifying the signs of an ageing face, and our rest discussion, we will restrict ourselves, to Face Lift Surgery only. Face Lift is not new in the western world, although the benefits of it’s miracles have recently aroused interest in the Asian Continent. 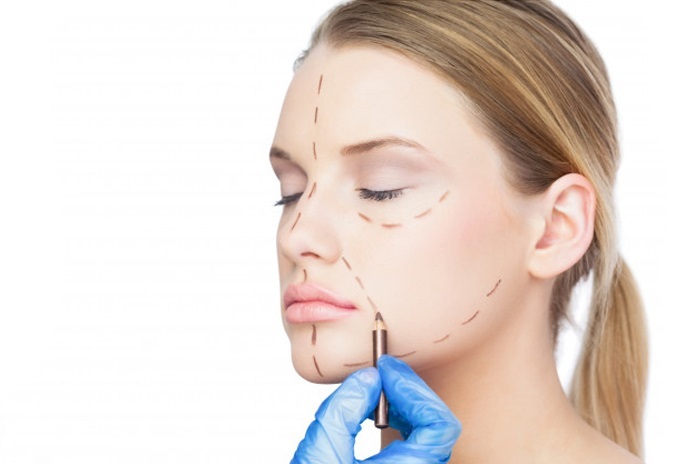 It can be safely said that, roughly Rhytidectomy facelift Surgery, reverses approximately 10 -15 years of a persons age (Although sometimes results may vary, depending on the individual concerned and technique of surgery used). Most artist in the entertainment world, are quite open to this idea , but slowly this awareness is also spreading to the common mass. The benefits of looking and feeling beautiful is not lost to anybody, and more people than ever before, now want this gift of long lasting youth. We believe every person is different , and has an unique problem. So we offer different variety of Face Lift surgery, to different people. The Classical Face Lift and Minimal incision facelift are the most common variety of Facelift surgery asked for, by the patients. All the surgeries are done by, Dr Raja, who is an aesthetic Plastic surgeon, who has trained with the pioneers of face lift surgery in countries like Brazil (considered as the best country for getting cosmetic surgery) and Belgium. in Belgium, he also had the rare opportunity to train under Dr Patrick Tonnard, the world famous inventors of MACS Face Lift, which is the latest variety of face lift used in the western world, with very high level of patient satisfaction. We have tried our best to address the concern of the common man (and woman) regarding cost issues, which have mistakenly, aroused a lots of concern on the minds of common people, regarding the cosmetic surgery. All the procedures in our clinic, including Face Lift Surgery, is offered at a very reasonable cost. In some cases loan facilities, including easy instalments in EMI basis, may also be offered to National Patients (Terms and Conditions apply). Even for the international patient, our rates are very considerate as we do not want our international guests, to be deprived of a person’s birth right to be beautiful, because of cost factor. It is their satisfaction, which is of paramount importance to us.